True business leaders stay focused. This is crystal clear. But how can you make sure you are focusing on the most promising business opportunities that can lead your company to success? 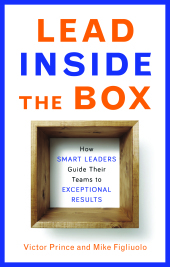 Today’s post is by Sharon Tal, co-author of Where to Play (CLICK HERE to get your copy). Indeed, knowing that you need to focus is the easy part, but choosing which opportunities to focus on is a hard nut to crack. This is true for founders of a small startup, just as it is for managers of a large organization. 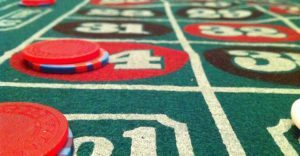 In any case you will need to assess and prioritize your business opportunities to figure out what horse you are betting on. Here are few tips that will help you to evaluate and compare your business opportunities in a systematic manner, so you can set your strategic focus more easily. Theories on motivation stress that a great goal should be desirable and feasible – both at the same time. 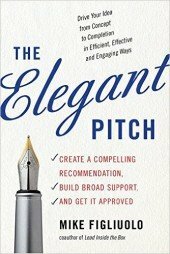 A business opportunity is just the same: it should be highly desirable, i.e., offer a high potential for value creation, yet also highly feasible, i.e., bear limited challenges in capturing this value. So when you assess different opportunities for your company, make sure to evaluate these two key factors. Your aim is to focus on a high potential, low challenge opportunity. GOLD-MINES – the most desirable category includes opportunities with high potential and low challenge. Gold-mines are relatively rare and hard to find, but if you spot such an option, you should definitely make it your focus. As an example, think of AdWords — Google’s search based advertising platform. The value creation potential of this opportunity was huge and the challenges in developing the platform were manageable. Indeed, this business opportunity turned out to be the major revenue source for Google — with over $80 billion per year. MOON-SHOTS – these opportunities combine high potential with high challenge. In fact, most of the truly innovative ideas fall in this high-risk high-return category. Focusing on a moon-shot opportunity means accepting complicated execution and high risk. Mobileye, an Israeli technology company that was recently acquired by Intel for over $15 billion, is one clear example for moon-shot. The company develops a breakthrough vision systems for real time safety detection of vehicles. Developing and delivering this highly needed product required overcoming immense technological and business challenges, such as signing contracts with huge automotive manufacturers. QUICK WINS – these opportunities bear limited potential but also limited challenges. 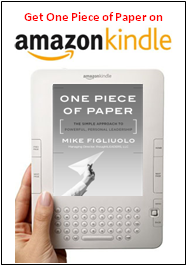 Many companies chose to focus on a quick-win option as a stepping stone towards a more promising, challenging idea. Elon Musk, founder of Tesla, said that this is exactly the reasoning that led him to develop the Roadster – an all-electric luxury sports car – before gearing towards an affordable mass market vehicle which required huge technological leaps. QUESTIONABLES – lastly, some business opportunities are not worthy of becoming your primary focus. They promise low potential for a sweaty, challenging effort. If a business opportunity is questionable, you should either not focus on it, or shape it differently to make it more attractive. In any case, it is always better to learn this from the outset, rather than to realize that your opportunity is questionable after much sweat. Juicero, a Silicon Valley startup raising $120 million, developed an expensive over-sophisticated juicer, only to find out that no one needed it. Focusing on this questionable opportunity led to their shutdown, three years after inception. To compare and prioritize your business opportunities, you can use a visual, intuitive tool called the Attractiveness Map. 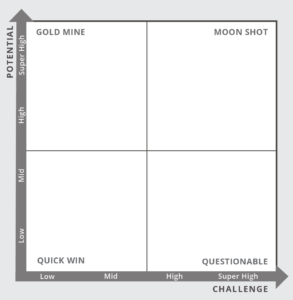 This simple matrix is based on two dimensions: the potential (high/ low) and the challenge (high/low). 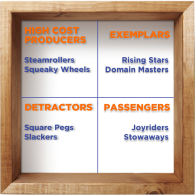 These create four quadrants – just like the four categories described above. 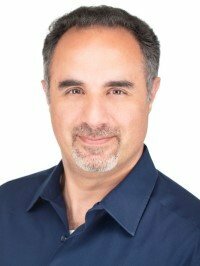 Assess your different business opportunities and place them on the Attractiveness Map. This is an ‘a-ha’ moment: all the bits and bytes of data that you have gathered so far about your options turn into one clear pattern. Just like a puzzle with thousands of pieces that is finally completed. The Attractiveness Map helps you to gauge the pros and cons of each opportunity by itself and relative to others, so choice becomes more apparent. Overall, adopting such a systematic approach for evaluating and prioritizing your business opportunities is extremely valuable. 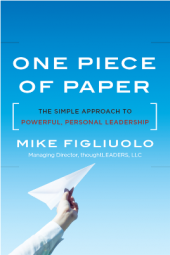 It gives you the ability to communicate and debate with your team and stakeholders, and most importantly, allows you to make a more informed choice of where to focus. 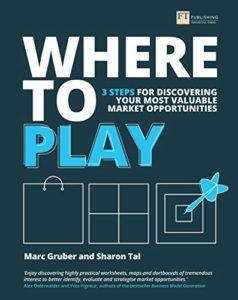 Sharon Tal is co-author, with Marc Gruber, of Where to Play: 3 Steps for Discovering Your Most Valuable Market Opportunities (CLICK HERE to get your copy). She is one of the co-founders and former executive director of the Entrepreneurship Center at the Technion, Israel Institute of Technology, and a well-recognized lecturer on marketing for high-tech start-ups. Her PhD research investigated the market entry decisions of hundreds of start-ups and their consequences on firm performance and flexibility. For more information please visit www.wheretoplay.co or https://www.edx.org/course/find-right-markets-innovation-tool-epflx-marketsx.